The STS 4000 servo driven heatstaker offers many standard features. The STS line couples new servo control technology with over 50 years of combined experience to bring to market the most advanced line of thermal assembly equipment. Servo control in the Z-axis allows for precise and rapid control of your thermal applications. Our complete line offers end users the ability to run small, medium, and large parts and applications that require high precision and repeatability. 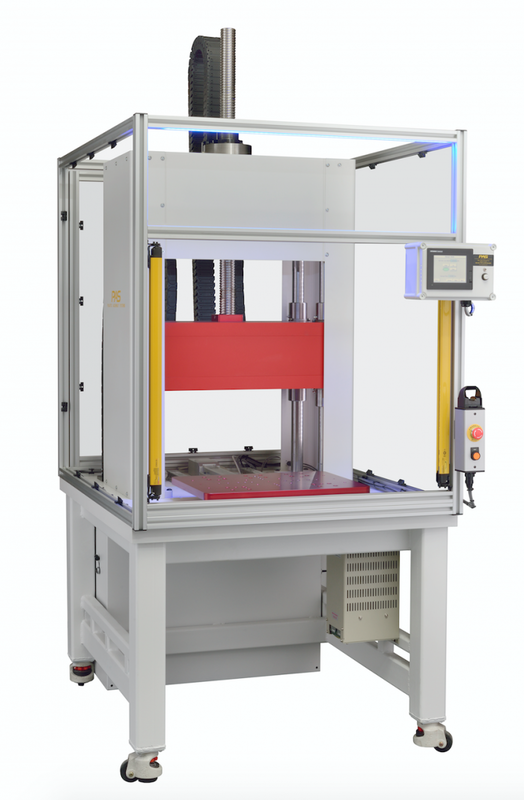 The STS 2000 servo press can be used as a stand alone machine or be offered as an automation machine allowing the machine to be integrated easily into your custom automated system. If you have any questions, contact our team by calling 203-393-0639 or toll free at 866-882-1701. We’ll be happy to help you find the right solution for your needs.